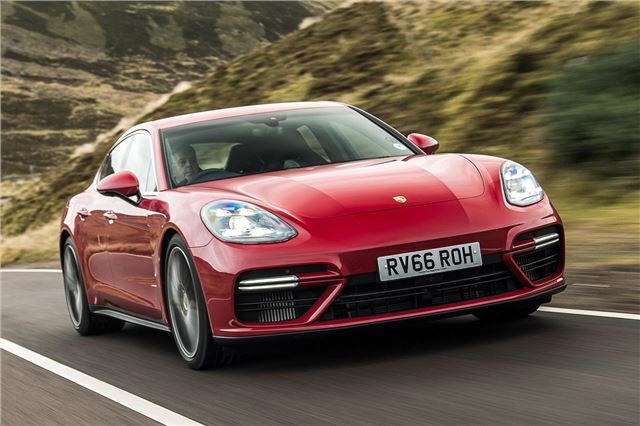 Superb blend of fun driving dynamics, comfort and refinement. High-tech interior. Fantastic performance. Four seats, not five. Expensive to buy. Optional extras ramp up the price further. 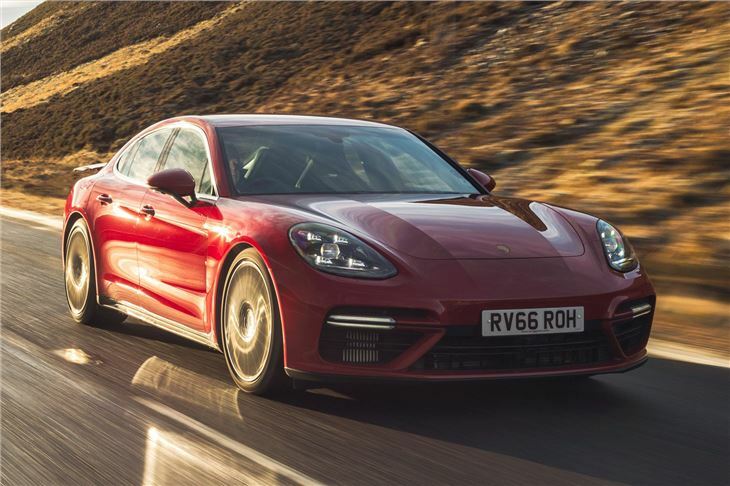 It isn’t cheap, but the Porsche Panamera combines all the precise handling prowess of a sports car with the luxury, comfort and practicality of a high-end saloon. It isn’t quite as family-friendly as a Cayenne nor is it as luxurious as a limo like the Audi A8, but it’s much easier to live with than a 911. 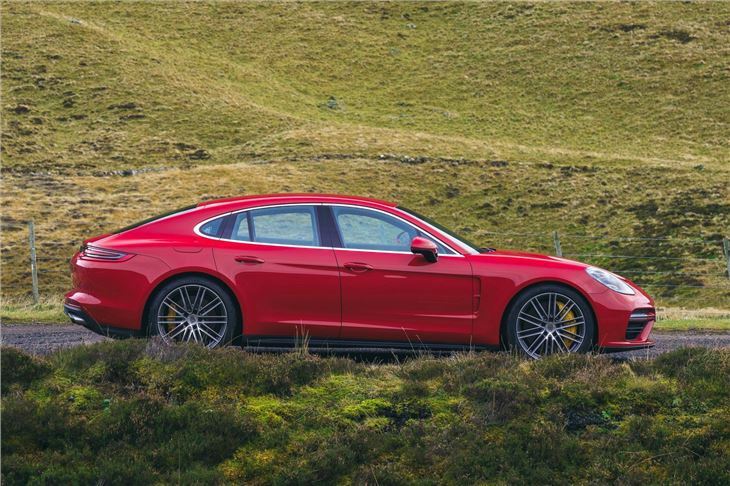 It’s seriously impressive just how well the Panamera blends typically paradoxical qualities. If you want to simply drive to the local restaurant or pick up some shopping it's quiet and cossetting, with excellent ride quality and an almost silent cabin. 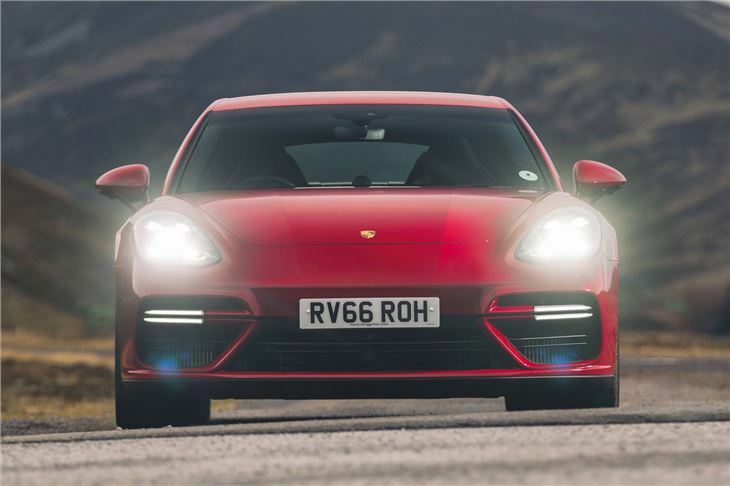 Similarly, it will cope with long motorway drives. But take it to your favourite road and it really comes alive, with surprising poise, fantastic steering and lots of lovely noise, even if you go for a diesel or hybrid version. The engine range consists of 2.9-litre and 3.0-litre V6 petrols, plus a 4.0-litre V8 petrol and a 4.0-litre V8 diesel. You can also get two plug-in hybrid versions, which combine a battery pack and electric motor with either the 2.9-litre V6 petrol or 4.0-litre V8 petrol. Both versions are capable of covering a short commute on electric power alone, provided the batteries are charged up. 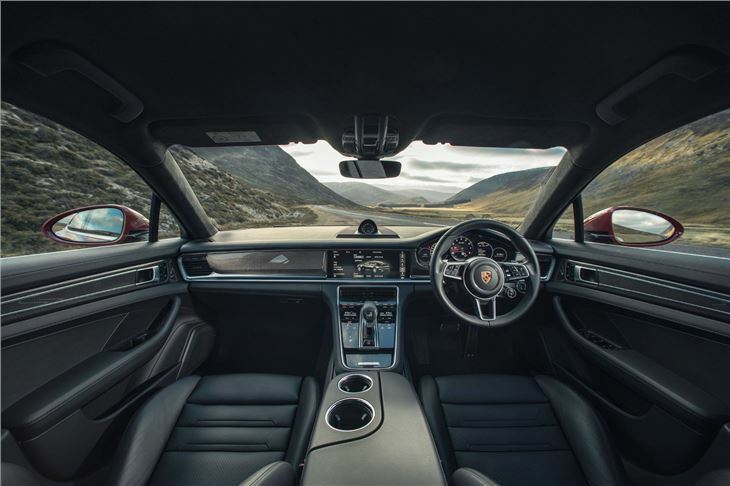 Inside, the Panamera is exquisite. The fit and finish is impeccable and there’s a high-tech layout, with touch-sensitive controls for more or less everything in the centre console and stack. There’s also a large, clear, responsive touchscreen system and sensibly-placed steering wheel-mounted controls. 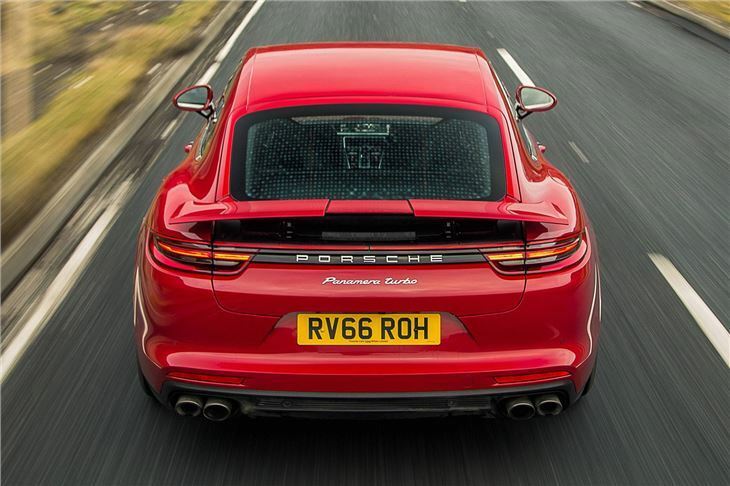 The Panamera is a four-seater, so there is no middle seat, but the rear row provides a good amount of leg and headroom, while the hatchback makes access to the sizeable boot very straightforward compared to a saloon. The rear seats can be folded down for bulky items too. 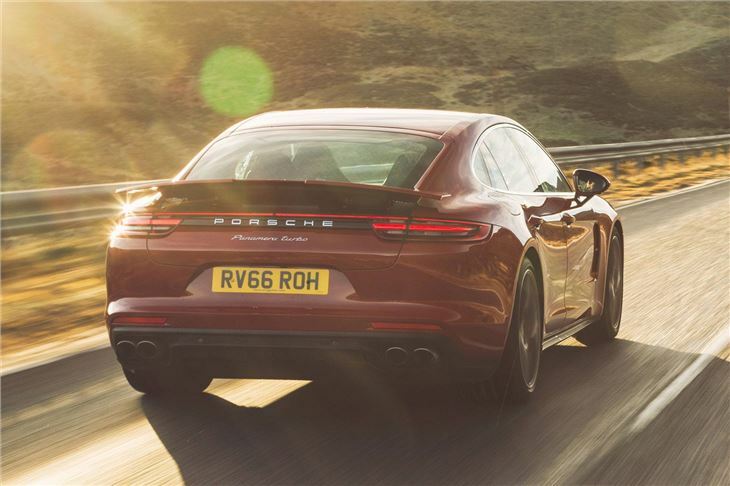 Compared to the Audi A7 Sportback or BMW 6 Series Gran Coupe, the Porsche Panamera looks, feels and drives like a more special car. It’s a superb piece of engineering that does everything any enthusiastic driver could hope for. But there is a very high price to pay, and full-size executive saloons like the Audi A8 are more comfortable if you're more interested in sitting in the back.